Somehow Tatertown is infested with undead. Grab a gun and head to the graveyard that seems to be where they are coming from! 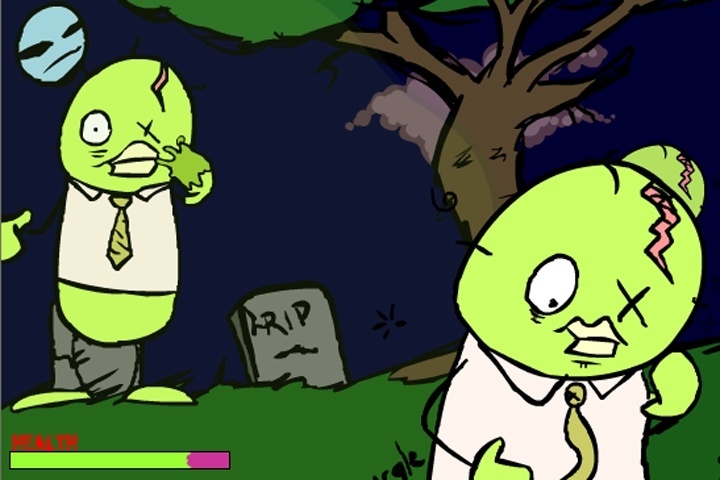 As the hero in this game, head to the graveyard with your gun to stop them at their home. Shoot the undead with your gun and save tatertown. If you want to play Monster Mash games online you have come to the right place! GamesLoon adds new Monster Mash games every week. This is your game portal where you can find the biggest collection of free Monster Mash games online. Do not forget to rate our Monster Mash free online games while playing!